Home » Recent Thoughts - Years After The Bar » Law School Insights: Book Sale! Law School Insights: Book Sale! 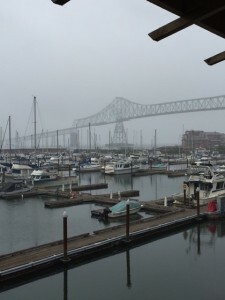 This week I am working from the beautiful coastal town of Astoria, Washington. I have enjoyed sunshine, rain, fog, and mist….all within about 15 minutes! I am staying in a hotel that is right on the water, and am feeling especially grateful tonight. It is good to get out of my routine, away from my normal commute through terrible traffic, away from my desk, and experience another side of life. Life here is a bit slower, more small town, and somehow, seems more a part of the elements. Maybe it is because I actually have been outside in the elements this week, but maybe it also has something to do with the location. This is where the mighty Columbia River meets the Pacific Ocean. The power of nature is palpable here. It is invigorating! Anyway, I have been getting so many new views on my Facebook page that I realized there are many parents out there who have recently been accepted into law school and are struggling with the decision of whether to go or not. I know I should have struggled with my decision more – considered many more things than I did. Partly, it’s one of those things you don’t know until you know, but some things are foreseeable. Those are the things to really give a great deal of consideration to before deciding to go to law school. If you want to read more about what to consider before deciding to go to law school as a parent, and how to help manage life if you do, please check out my book (info below). 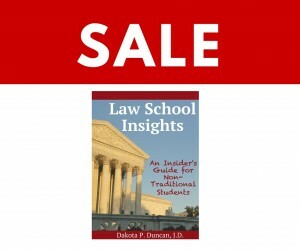 In honor of all those struggling parents, I am putting my book, Law School Insights: An Insider’s Guide for Non-Traditional Students, on sale. It will be on sale for 50% off starting Saturday morning, May 21, then around mid-day on Tuesday May 24 will be on sale for 25% off, and at midnight on Friday, May 27 will return to its full price. I hope you find it helpful. If you still have questions, feel free to contact me using the contact page on this website, or via Facebook. Also, if you enjoy the book, please leave a review on Amazon.com. It really helps others to find and benefit from the book. I hope wherever you are, you are having a wonderful week, and a terrific spring! Do you have a hard copy? I don’t have a Kindle. I have not published a hard copy, yet, however, Amazon offers a free Kindle reader for most devices.